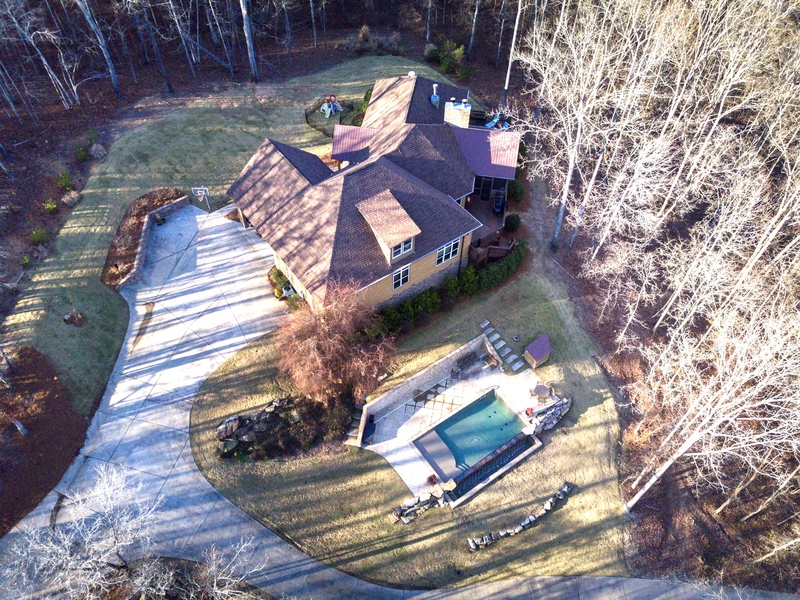 Escape to tranquility at this luxury estate perfectly positioned overlooking 6.8 acres of wooded, rolling landscape w/ the feel of a mountain home. Entertain by the infinity pool or take the ATVs out to ride the trails. Only minutes from N. Columbus conveniences but the feeling of seclusion. This estate is a handcrafted masterpiece loaded w/ custom details throughout. The abundance of windows allow for an expansive behind-the-scene view of nature in your very own backyard. Truly breath-taking. The gourmet kitchen w/ custom marble counters & wet bar is truly the heart of this home. The master retreat is on the main; it includes a f/p & beautiful view of the property! The master bath offers a HUGE walk in shower w/ steam area & stunning clawfoot tub. The main floor also includes the great rm, mudroom, 1/2 bath, formal dining w/ amazing views, built in workstation & 2 guest rms w/ JJ bath. Upstairs is an awesome bonus space, 2 full baths & 2 large bedrooms - perfect for teens!